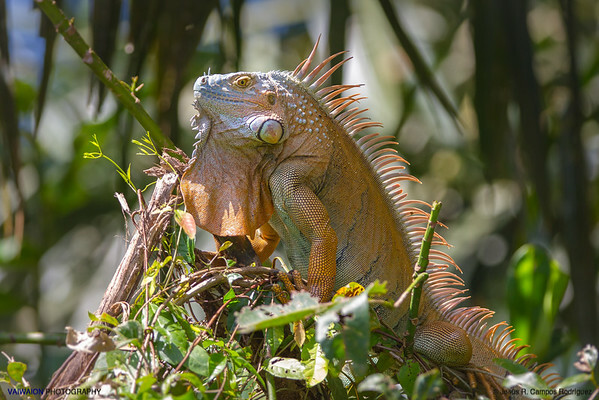 Green Iguana. Tortuguero National Park. Costa Rica. 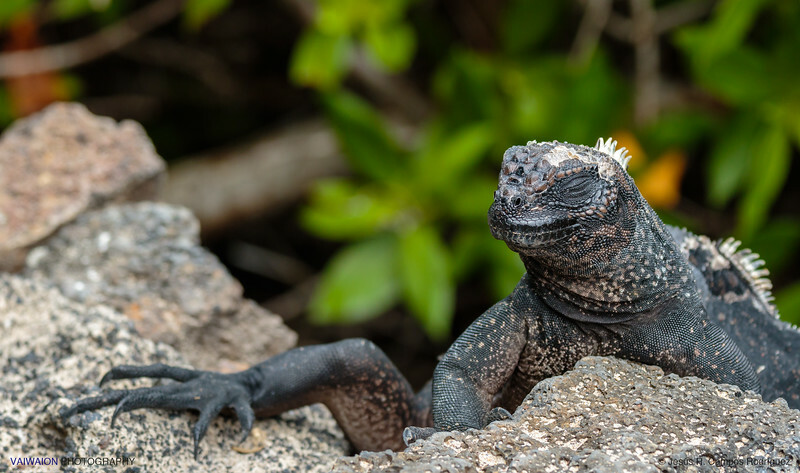 Helmeted iguana. Corcovado National Park. Costa Rica. 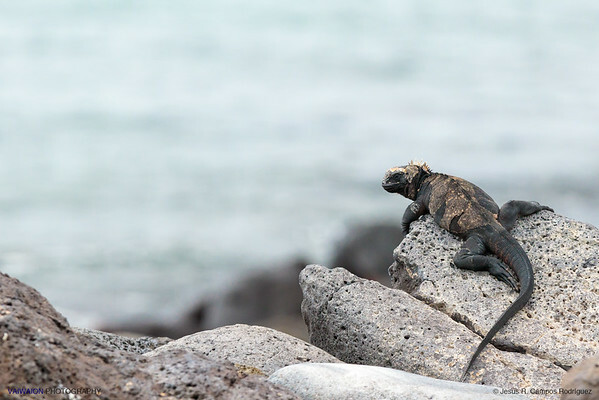 The helmeted iguana or chameleon iguana (Coryphanes cristatus) has the ability of changing the color of its skin to blend with the environment, but it is not a chameleon itself or is directly related to those reptiles. 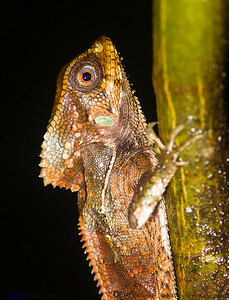 The orange brown tones that can be seen in the photograph are the ones exhibited by this species at night, when the picture was taken. During the day, its color varies from light green to gray, transition for which this animal needs solar energy. 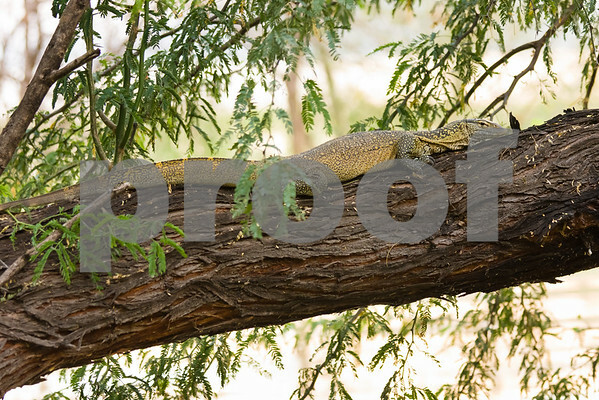 Common basilisk. Tortuguero National Park. Costa Rica. 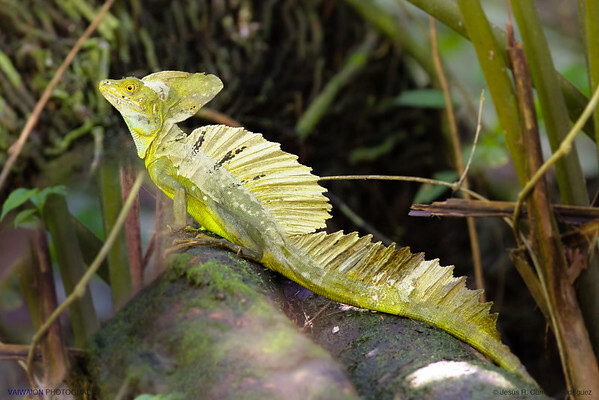 The common basilisk (Basilliscus basilliscus) is also called Jesus Christ Lizard, because it has the unique ability to literally walk over water. 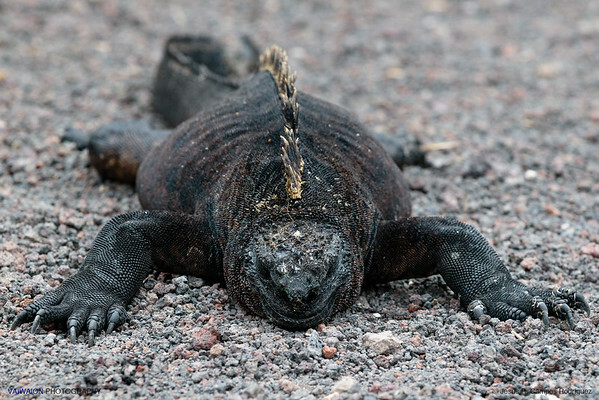 When it feels threatened, deploys a dermal lobes on the soles of its hind legs that act as fins. Then the basilisk begins a frantic two-leg race above the surface of water, heading deep into on the river or lake, where it feels safe. Male Iberian emerald lizard. 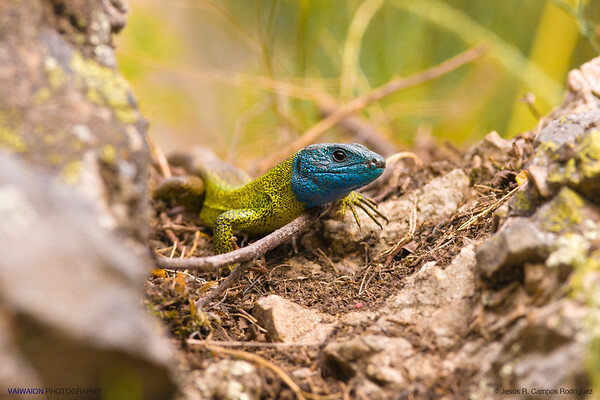 One of the most beautiful lizards from the Iberian Peninsula. 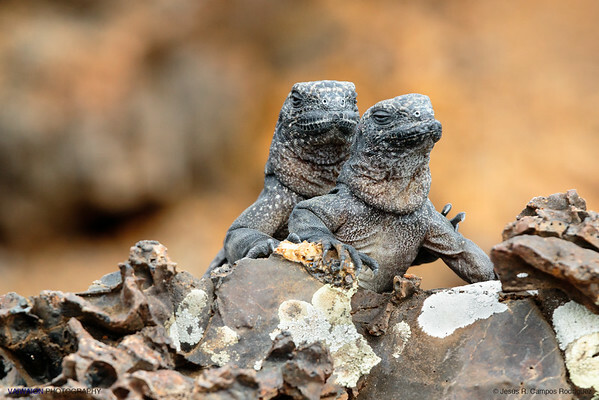 This photo was taken in full mating season of this species, when males present their most vivid colors. Las Villuercas, Cáceres. Extremadura (Spain). 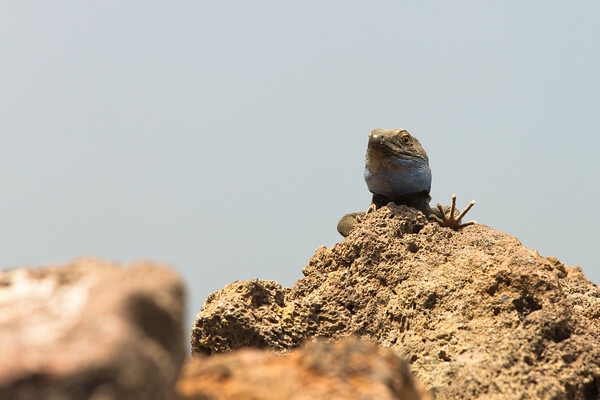 Male Western Canaries Lizard. 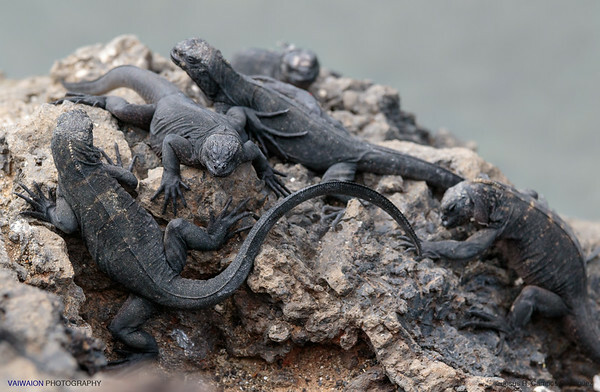 This is a popular species endemic to these islands. La Palma island, Canary Islands. Spain. Hey!, I'm looking at you!. 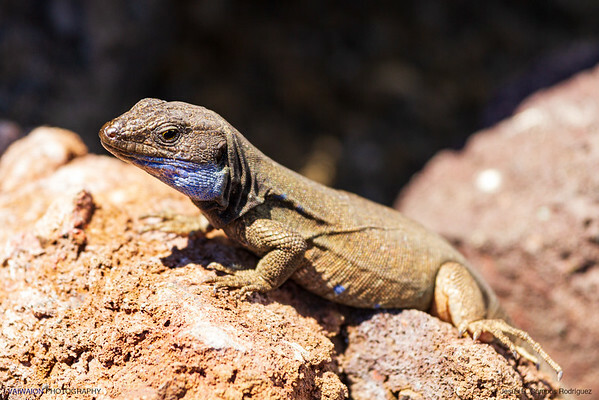 Male Western Canaries Lizard. La Palma island, Canary Islands. Spain. 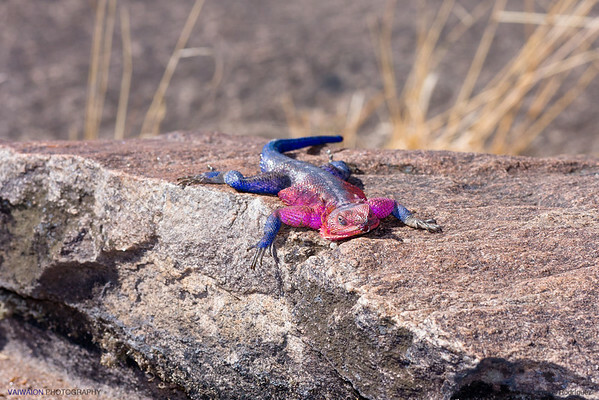 With its bright colors, is easy to understand why this reptile is commonly called spiderman lizard. Maasai Mara. 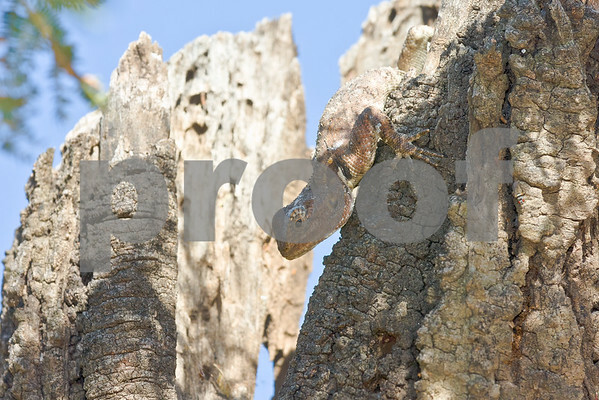 Female agama, perfectly camouflaged among the bark of a dead tree. Maasai Mara. Story of a failure. 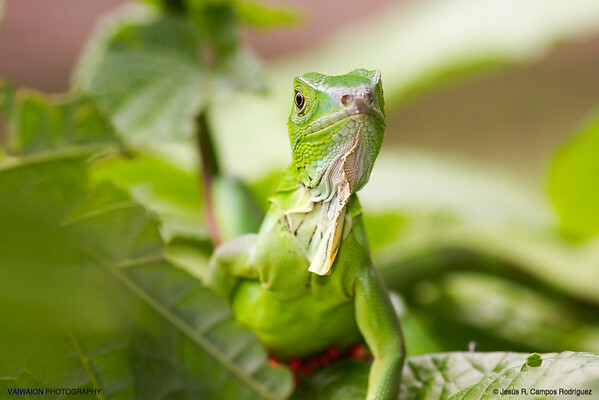 The anoles are the most often seen type of small reptiles throughout Central America, encompassing numerous species. 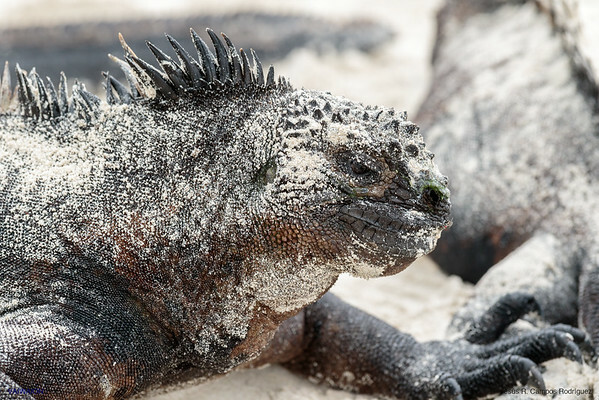 Males are famous for displaying at will a big and showy bag of skin or dewlap that extends from their lower jaw to chest. 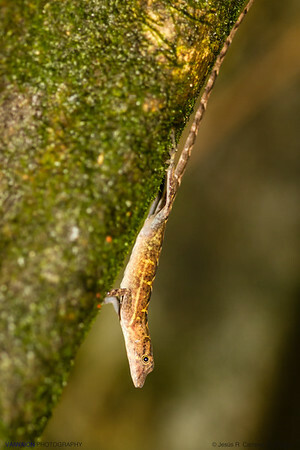 I saw countless male anoles displaying their dewlap throughout my journey through Costa Rica, and on numerous occasions I tried to photograph them with their dewlap extended. 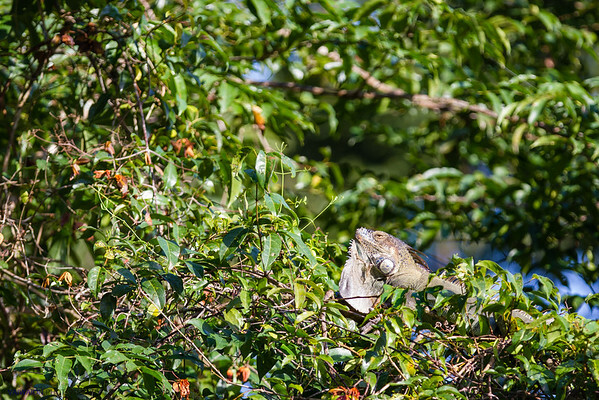 I was just to take the camera and the anole to hide the dewlap. Furthermore, they stayed quiet and calm looking at me as if they were mocking me. 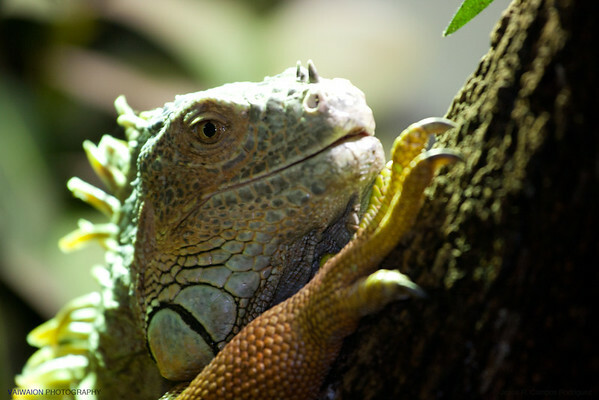 My theory is that they think a photographer is not manly enough to constitute a possible competition for mating female anoles (that is the reason for their striking dewlap exhibition). Here is a photo of the repeated failure. Green sea turtle. Tortuguero National Park. Costa Rica. 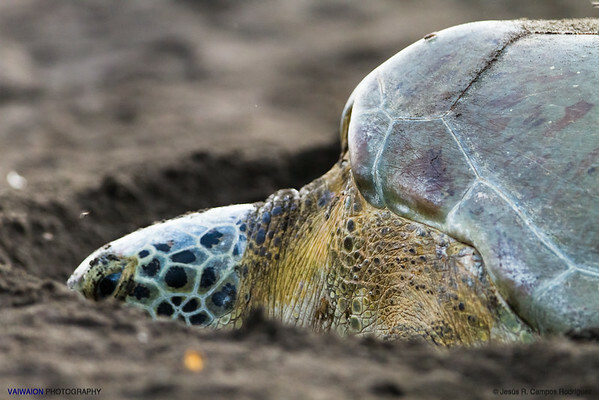 The shores washed by the Caribbean Sea in Tortuguero, Costa Rica, are world famous for being an important nesting site for various sea turtle species, like the green sea turtle, the Kemp's ridley sea turtle, or the leatherback sea turtle. All these species are in a high vulnerable state of conservation worldwide, due, among other factors, to the contamination of water, poaching activities and artificial light pollution, which displaces their areas of hatchery. 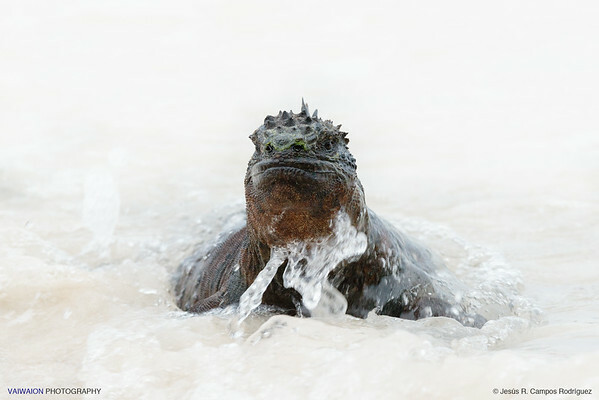 During breeding season, numerous large female turtles come every night to these beaches, to put their eggs. When they hatch, thousands of baby turtles instinctively flock to the nearby sea. Then it starts a frantic and brief survival race, during which various predators such as seagulls and crabs were waiting for this moment. Very few little turtles will arrive safe and sound at sea. 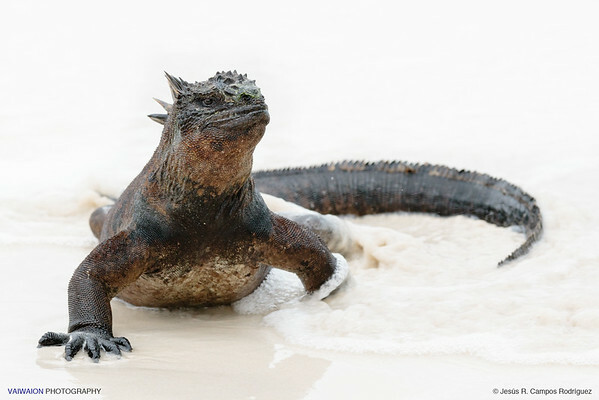 Those lucky ones still must face marine predators, and will not return to the mainland until a few years, when those females who have managed to reach the adult age and be fertilized, will return to these beaches to lay their own eggs and the cycle begins again. Note: These photographs were taken by permission and without using flash or any artificial light, and under the supervision and guidance of a specialized biologist of Tortuguero National Park.